ROCO 73257 - Electric locomotive 421 389-8 SBB Cargo Electric locomotive 421 389-8 of the Swiss Federal Railways. Epoch VI. 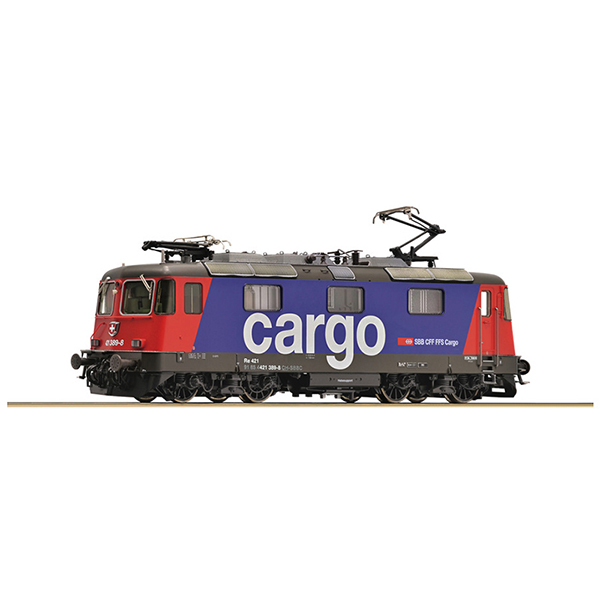 The locomotives of the series 4/4 II are universal locomotives of the SBB and hauled heavy passenger trains and freight trains. They were delivered to railway companies from 1967 on. The SBB bought a total of 276 locomotives. In Switzerland, the locomotives were even more challenged because the lines had typical small curve-radii. For the locomotives, this was not easy to manage - especially not at a high speed. Today the SBB still uses the Re 4/4 II locomotives under various designations and they still do their work reliably day by day.